AUVSI’s Unmanned Systems North America 2012 show took place last week in Las Vegas, showcasing and discussing products in the unmanned systems market. Over 8,000 people attended the show with 500+ exhibitors filling the Mandalay Bay Convention Center. 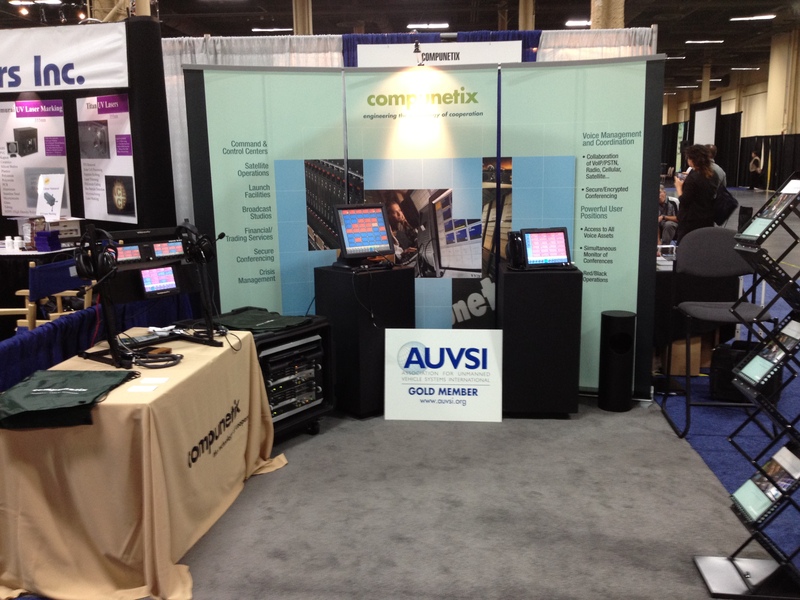 The Compunetix Federal Systems Division (FSD) was excited to attend the show and have the opportunity to demonstrate the Spatial Audio capability of the CONTEX® Mission Voice Platform (MVP). This feature of the MVP allows users to simulate different audio sources in up to nine different 3D locations in space. The demo allowed users to first listen to a non-spatial version and then a spatial version of three audio conversations occurring at the same time and compare the two versions. When a user was asked to focus on just one conversation, they found it much easier to do so with the spatial version intelligence. Our FSD team highly enjoyed the tradeshow, especially seeing all of the robotic devices and special areas for remote-controlled air and ground vehicles that maneuvered through obstacle courses. We would like to thank all of the attendees who stopped by the Compunetix booth and we look forward to seeing and speaking with more people at our upcoming shows, listed here.